A simple yet addictive website where you can learn about the physics involved in various theme park rides. A range of games, apps and videos about CERN for 7-12 year olds. An extensive web-based teaching and revision aid for GCSE and A-Level physics. Science fair projects and battery-powered experiments from Energizer. A useful resource for student research which covers every aspect of the subject of energy. The site also includes guides and teaching materials. A simple interactive game that teaches about energy sources and management. A collection of really simple, really addictive physics simulations. Animations and videos of various physics principles and experiments. Making physics fun for everyone and inform and educate through a variety of media sections. A variety of physics-based online games. The aim of the site is to inspire people of all ages about physics and it contains a database of over 4000 web links, world physics news and career advice. Featuring information on motion, heat and thermodynamics, electricity & magnetism, light and more. 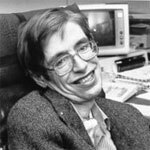 This is the official site for Professor Stephen Hawking, cosmologist, space traveller and hero, 1942 - 2018. A physics resource for students (11-19) and teachers including a useful selection of animations. This site from the Electrical Safety Council contains information about using electricity safely with printable posters, first aid advice and useful links. A community for teachers of Physics and their supporters. It is run by the Institute of Physics. Detailed ideas and resources for teaching physics to students aged 16-19. An award winning website which covers quarks, neutrinos, antimatter, dark matter and more. Physics explanations, practicals, multimedia and information for teachers and students alike. A range of virtual experiments created by the University of Reading Department of Physics. A detailed and informative website about String Theory.